Kotera, Y. & Pauline, G. (2019). You are a caregiver, but do you care for yourself?, British Association of Social Work (April 2, 2019). Kotera, Y. & Pauline, G. (2019). You are a caregiver, but do you care for yourself?, British Association of Social Work (March 14, 2019). Kotera, Y. (2019). Pedagogic Research Online at the Derby Excellence in Learning, Teaching, and Assessment: Pedagogic Research, Innovation and Scholarship for Impact Launch Event, University of Derby (January 21, 2019). Kotera, Y., Cockerill, V., Green, P., Hutchinson, L., & Shaw, P. (2018). Towards another level of borderlessness: Qualitative investigation into online learning experience of students with disabilities at the International Perspectives in Education Conference 2018, Katholieke Universiteit Leuven and Homo'poly (October 12-13, 2018). Kotera, Y., Mills, D., & Taynton, K. (2018). Danger of written feedback: In-the-moment video feedback for online counselling students' role play assessment at the International Perspectives in Education Conference 2018, Katholieke Universiteit Leuven and Homo'poly (October 12-13, 2018). Capone, S., Kotera, Y., & Sheffield, D. (2018). Attachment, self-compassion, resilience and motivation at the Undergraduate Research Scholarship Scheme Conference, the Centre for Excellence in Learning and Teaching, University of Derby (October 4, 2018). Pugsley, P., Kotera, Y., & Sheffield, D. (2018). Cognitive Stimulation Therapy for severe dementia patients at the Undergraduate Research Scholarship Scheme Conference, the Centre for Excellence in Learning and Teaching, University of Derby (October 4, 2018). Elaine, C., & Kotera, Y. (2018). Ethical judgement and intent in business school students: the role of the psyche? at the British Accounting and Finance Association Annual Conference, University of Derby Business School (September 10-11, 2018). Kotera, Y., Mills, D., & Taynton, K. (2018). Danger of written feedback: In-the-moment video feedback for online counselling students' role play assessment at the Networking for Education in Healthcare Conference 2018, Higher Education Academy (September 4, 2018). Kotera, Y., Green, P., & Sheffield, D. (2018). Pathways from resilience to mental health: Roles of positive psychology in the relationship between resilience and mental health in UK social work students at the 1st British Psychological Society Midlands Conference, British Psychological Society (September 3, 2018). Kotera, Y. (2018). Pathways of resilience: Roles of positive psychology in the relationship between resilience and mental health at the 4th International Conference on Mental Health & Human Resilience, Conferenceseries (April 26-27, 2018). Invited speaker. Kotera, Y., Mills, D., & Taynton, K. (2018). In-the-moment video feedback for online counselling students' role play assessment at the Digital Assessment and Feedback Conference 2018, the University of Derby (March 5, 2018). Kotera, Y., Adhikari, P., & Van Gordon, W. (2017). Relationship between work motivation and worker profile in UK hospitality workers at the International Conference on Social Sciences, Humanities and Technology 2017, Global Academic Excellence (December 2, 2017). Kotera, Y. (2016). The Disney strategy NLP skills for career consultation at the National Institute for Career and Education Counselling Conference: Rethinking career development for a globalised world, the University of Derby (September 21-22, 2016). Kotera, Y. (2016). 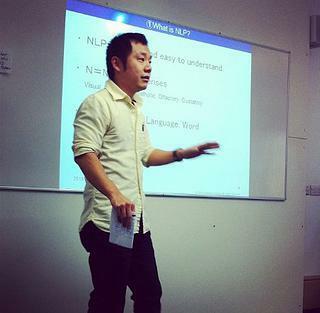 Qualitative investigation into the effects of NLP training among Career Consultants in Japan at the Applied Qualitative Research Conference, the University of Derby (July 21, 2016). Kotera, Y. (2016). Career development: The Disney way at the Learning & Teaching Conference 2016: Higher education – What does the future hold?, the University of Derby-Buxton (July 4, 2016). Kotera, Y. (2014). PTSD and WWI at the Disability Conference, the University of Derby- Buxton (November 25, 2014). Kotera Y. (2004). Japanese Leadership Speech “Yozan Uesugi, the Shogun JFK Respected”, Georgia International Leadership Conference as a representative of Emory University, Eatonton, GA, USA, (January 2004). Kotera, Y. (2019). When NLP comes to work. British Association for Counselling and Psychotherapy Workplace, April, 100. Kotera, Y. (2015). A war in your mind: Overcoming the mental challenge of resettlement. Pathfinder, 2015 November, 49. Kotera, Y. (2015). PTSD in the military: Cognitive approaches to treatment. Fight Through, 2015 Autumn, 62. Kotera, Y. (2015). Language, cross-cultural psychology, and confidence. Sekai no Gaitou kara [From streets in the world]. KG Journal, July 2015.
International Business Times の男女平等賃金デー(Equal Pay Day)の特集記事で、メンタルヘルスの専門家として引用。2017.11.10. Gander, K. (2017). Equal Pay Day: Women in retail have one of the toughest jobs in the UK. International Business Times. Copyright 心の理屈 , 2014 All Rights Reserved.